It's easy to condemn the Chicago teachers for walking out. All the papers are doing it. If they cared about the kids, they'd go to work. They'd settle. They'd be happy they had jobs. It's certainly true that plenty of people do not. Not only that, but teachers are role models. What sort of example do they set when they don't go to work? But no one seems to ask--why did Rahm Emanuel unilaterally renege on a collectively bargained 4% pay increase? Does anyone think there would be a strike if he hadn't done that? And why did Mayor Emanuel think the teachers would agree to a 20% longer day for a 2% increase? Did he think teachers would agree to unspecified raises for the three following years for only those he deemed worthy? Should they have trusted in his good intentions after he broke an agreement they bargained in good faith? Does he think teachers are stupid enough to fall for that? 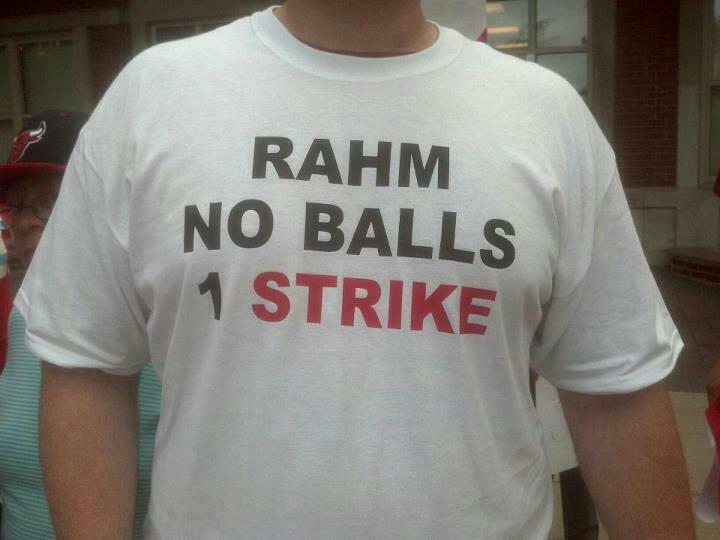 Chicago teachers are facing day 5 on the picket line. They deserve our full support. Please contribute to their solidarity fund. I have, and if they're still out next week, I'll do so again.